I was approached by an anonymous client to produce a series of External Landscape CGI Visualisations for a location in Cornwall, travelling from dusk to daylight to showcase some recent property developments. Upon being given the blueprint/architectural measurements, I started modelling the basic shapes of the landscape. This included positioning the basic shape of the trees, water wake, house, hedges and stones/grass so that they appeared through the water. As soon as the basic landscape’s shape was approved by the client, the finer details were added such as the bump, spec and normal maps for each of the objects. I ensured that these details were only visible to the camera. 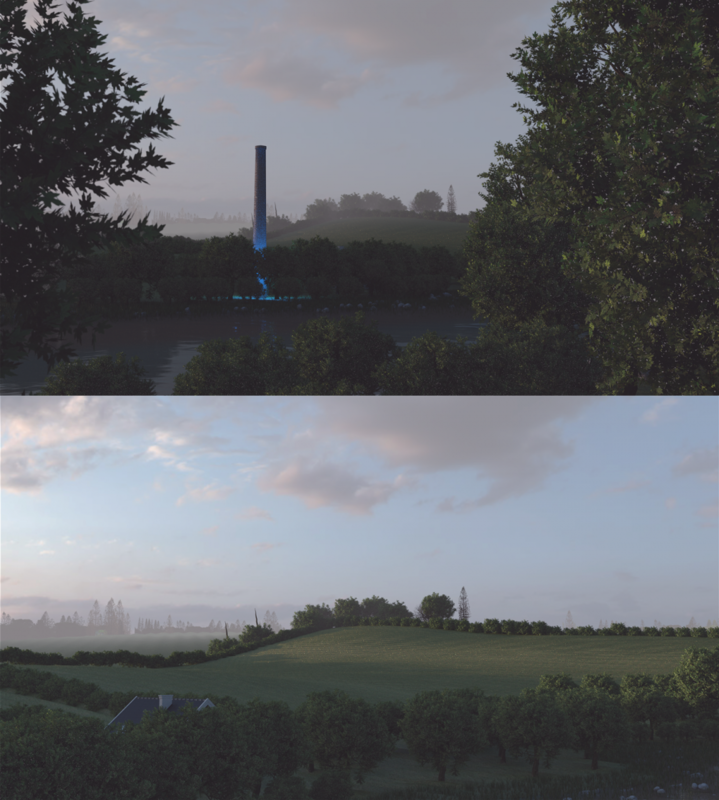 Furthermore, a series of trees were produced in such a way that each tree would be different depending on the its location using a particle system to help achieve realism. I really enjoyed this one and it was nice to jump back into some 3d landscape work! Do you have a project you wish to be bought to life by photorealistic CGIs? Then simply email or call by visiting my contact page to discuss your requirements.